What, they’re telling us that wrestling matches were even fixed … 18 centuries ago? A scientist reading fragments of Egyptian papyri from the year 267 found a written contract that called for Demetrius to take a fall three times in a wrestling match against fellow teenager Nicantinous in exchange for a 3,800-drachma payoff, according to Archaeology.org. 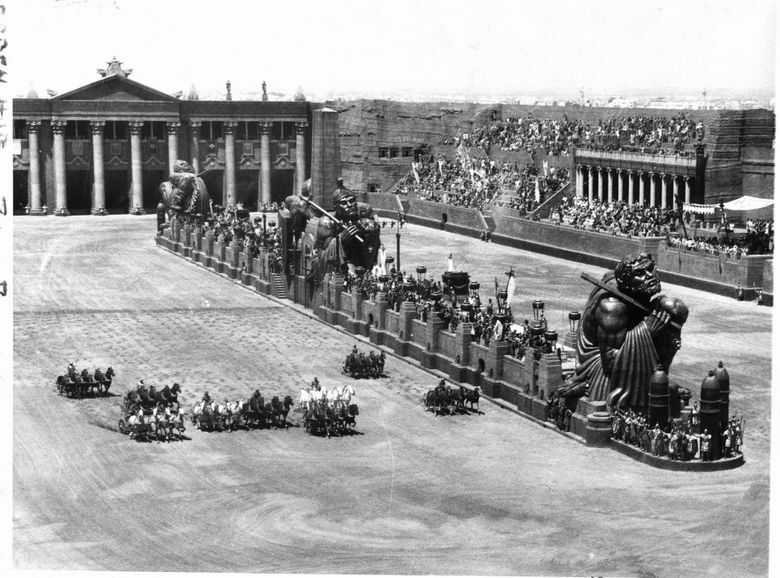 So what’s the next gut-punch to our shattered innocence — that chariot racing wasn’t always on the up-and-up? Our neighbors’ country to the north is warming at twice the rate of the rest of the planet, according to Environment and Climate Change Canada. Forward-thinking Canadian engineers, not to be denied, are already hard at work on floating pucks and curling stones. ABC-TV is slated to air a 10-episode series on mini-golf called “Holey Moley,” with Joe Tessitore among those behind the mic. What, no Booger McFarland sideline reports from a golf cart? San Antonio coach Gregg Popovich — ejected just 63 seconds into the Spurs’ latest game at Denver. Just when you thought there wasn’t room for one more sport, along comes the Lingerie Fighting Championships. So, what brand are the boxing trunks — Everlast or Victoria’s Secret? Washington pole-vaulter Olivia Gruver broke the NCAA women’s outdoor record with a 15-foot, 6¼-inch vault, eclipsing the school record by more than a foot and the Pac-12 mark by 5-plus inches. No. 1 in the poles? No kidding. Bengals RB Mark Walton has been arrested three times in three months — the latest on weapons, marijuana and reckless-driving charges — but is somehow still with the team. Haven’t these guys ever heard of three-and-out? Louisiana is the most stressed state, according to a study by the personal-finance site Wallethub.com. It certainly was after the NFC Championship Game. Last month’s GEICO Bassmaster Classic on the Tennessee River reported a record three-day attendance of 153,809. What, was it Mike Wurm Bobblehead Day? Kentucky has offered basketball coach John Calipari a lifetime contract. Hey, don’t laugh: It certainly beats a one-and-done. The WWE is getting slammed for not giving health benefits to its rasslers. Apparently the hang-up is whether fake injuries and hair-pulling ought to be covered. Phillies star Bryce Harper and his wife Kayla are expecting their first child in August. Harper was last seen practicing his celebratory cigar flip. Arizona beat the Dodgers on March 29 in the longest regular-season game in Dodger Stadium history — 6 hours, 5 minutes and 13 innings. L.A. fans were so confused that, after leaving early in the seventh inning as usual, they came back twice more so they could leave again in the 10th and 12th. Toyota tinkerers have created a robot that rarely misses free throws or three-point shots. Steph Curry immediately filed suit for copyright infringement.